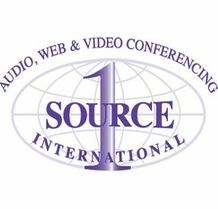 1Source makes conferencing solutions simple and affordable. From the smallest collaborations to the largest white-glove events, we offer reliable and cost-effective audio, web, video, and event conferencing solutions. Conduct instant, reservationless conferencing with control and security at your fingertips. Hold collaborative web meetings on the go or in the office on your PC, Mac, or mobile device. Reduce your travel expenses and increase company productivity with high-quality video conferencing. 0	jplist-folder-All-Posts-64396 jplist-folder-Blog-64397 Blog	jplist-topic-Audio jplist-topic-conferencing jplist-topic-Operator-Assisted jplist-topic-Video jplist-topic-Web	0	01/11/2016 10:43:15	KT's CornerBe sure to check this list before your call begins! Know the conference date/time – Seems simple enough, right? You may be surprised to learn this is one of the most common questions that come up. When is the conference call? 1Source offers Outlook plugins and mobile apps to make scheduling easy. Dial into the conference a few minutes early – This is the best way to ensure you are prepared for your call. Mute your phone when not speaking - How many times have your heard a dog barking in the background or off-subject conversations? Muting your line ensures you are not disrupting the conversation. State your name before speaking – Have you ever been on a call where no one knows exactly who is on the line? This can become awkward and unproductive. Make your presence known by stating your name! Define a clear leader – Having a leader ensures the call will stay on course. Nothing is worse than suddenly realizing the call has taken an unexpected and unproductive turn. Don't be a call hog – Let others have a say in the conversation. When one person dominates the call, other valuable feedback may go left unsaid. End the meeting on time – Let's face it, everyone is busy! The last thing you want is to remain on a call when all topics have been discussed. Ending the call on schedule allows everyone to get back to their daily tasks sooner. Pay attention – Can you please repeat that? This phrase is said far too often. Pay attention and you won't be caught off guard. This will also contribute to a quicker, more productive meeting. Create an agenda – No one likes unorganized meetings. However short the agenda may be, it will help keep everyone on point. Make yourself available – You were included on the conference call for a reason. The average conference call lasts only 20 minutes. That's less than your favorite TV show and your participation is invaluable to your team. Take your webcasts to the next level. 1	jplist-folder-All-Posts-64396 Product-Literature-Product-Literature	jplist-topic-Audio jplist-topic-Branded jplist-topic-conferencing jplist-topic-Event-Services jplist-topic-Video jplist-topic-Web jplist-topic-Webcasts	0	01/11/2016 09:25:56	Take your webcasts to the next level. No Reservations. No Operators. No Confusion. 3	jplist-folder-All-Posts-64396 Product-Literature-Product-Literature	jplist-topic-Audio jplist-topic-conferencing jplist-topic-Toll jplist-topic-Toll-free	0	01/11/2016 09:18:54	Introducing Insta-Meet Plus, the easiest and fastest way to conference with business associates, clients, employees and others. Insta-Meet Plus audio conferencing service offers instant on-demand conference calling – anytime you want. iMeet's the one solution for all your web, audio and video conferencing needs. 4	jplist-folder-All-Posts-64396 Product-Literature-Product-Literature	jplist-topic-Audio jplist-topic-conferencing jplist-topic-Video jplist-topic-Web jplist-topic-Webinar	0	01/11/2016 09:15:48	iMeet's the one solution for all your web, audio and video conferencing needs. Simple and Affordable online meetings. 5	jplist-folder-All-Posts-64396 Product-Literature-Product-Literature	jplist-topic-conferencing jplist-topic-Web jplist-topic-Webinar	0	01/11/2016 09:10:31	Simple and Affordable online meetings. EventSource will revolutionize the way your company handles webcasts, seminars, investor meetings, new product roll out and much more. 6	jplist-folder-All-Posts-64396 Product-Literature-Product-Literature	jplist-topic-Assisted jplist-topic-Audio jplist-topic-conferencing jplist-topic-Event jplist-topic-Managed jplist-topic-Meetings jplist-topic-Seminars jplist-topic-Video jplist-topic-Web jplist-topic-Webcasts	0	01/11/2016 09:08:38	EventSource will revolutionize the way your company handles webcasts, seminars, investor meetings, new product roll out and much more. 7	jplist-folder-All-Posts-64396 Product-Literature-Product-Literature	jplist-topic-Assisted jplist-topic-Audio jplist-topic-conferencing jplist-topic-Event jplist-topic-Operator jplist-topic-Web	0	01/11/2016 09:03:24	Engage the EventSource solution to reduce stress and ease those pressure filled earnings calls. Your executives can focus on presenting and provide your stakeholders with the best experience possible. Our expert team of event coordinators, operators, and web technicians are there to address any questions and give the support necessary starting with booking your event all the way through post event analyitcs and archiving. 9	jplist-folder-All-Posts-64396 Product-Literature-Product-Literature	jplist-topic-conferencing jplist-topic-Web jplist-topic-Webinar	0	01/11/2016 08:58:17	Adobe Connect Pro. 1Source for Audio, Web & Video Conferencing. 11	jplist-folder-All-Posts-64396 Article-Article	jplist-topic-Audio jplist-topic-conferencing jplist-topic-Video jplist-topic-Web jplist-topic-Webcasts jplist-topic-Webinars	0	01/11/2016 08:54:14	1Source for Audio, Web & Video Conferencing.